This Christmas, activpayroll is making sure that no child wakes up without a gift on Christmas morning by taking part in four gift giving initiatives. After supporting the Befriend a Child Giving Tree Appeal in 2016, activpayroll was determined to take part again this year. 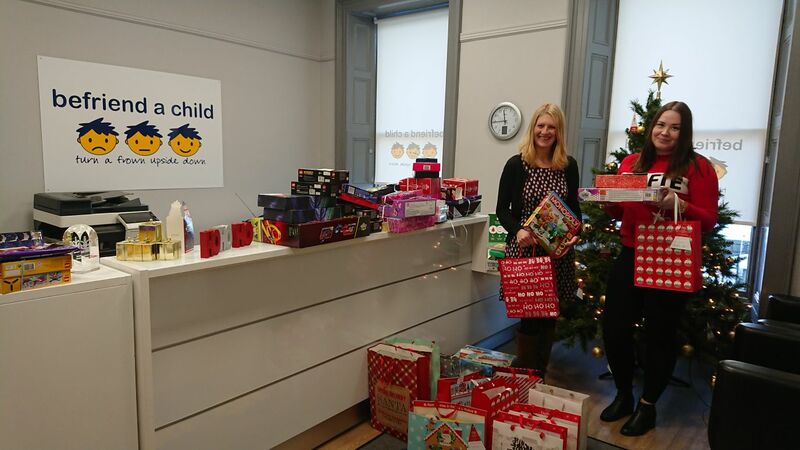 In order to help as many underprivileged families as possible this Christmas, the Aberdeen activpayroll team also decided to support one of their chosen charities for 2017, Children 1st. In addition, the Edinburgh team got into the festive spirit and collected a range of gifts to donate to With Kids and our Florida office made a generous donation to Venice Moms Helping Hands. Gift tags for Befriend a Child were displayed in the office and each team member was given the opportunity to pick one or more. Each tag gave the name and age of a child and allowed team members to purchase an appropriate gift. Befriend a Child support disadvantaged and troubled school-aged children and young people growing up in Aberdeen and Aberdeenshire and make it their mission is to “turn a frown upside down”. After supporting Children 1st throughout the year through a range of fundraising activities, activpayroll also displayed a range of tickets with the name and age of children they support and a suggested gift. In addition to this, team members were also given the opportunity to provide gifts for parents in the form of a food package or toiletries that they wouldn’t otherwise be able to afford. Children 1st is Scotland’s National Children’s Charity and help Scottish families put children 1st with practical advice and support in difficult times. With Kids, Edinburgh and Glasgow based charity, is a children’s mental health charity that works with vulnerable children and families to provide a range of individual, social and practical support. 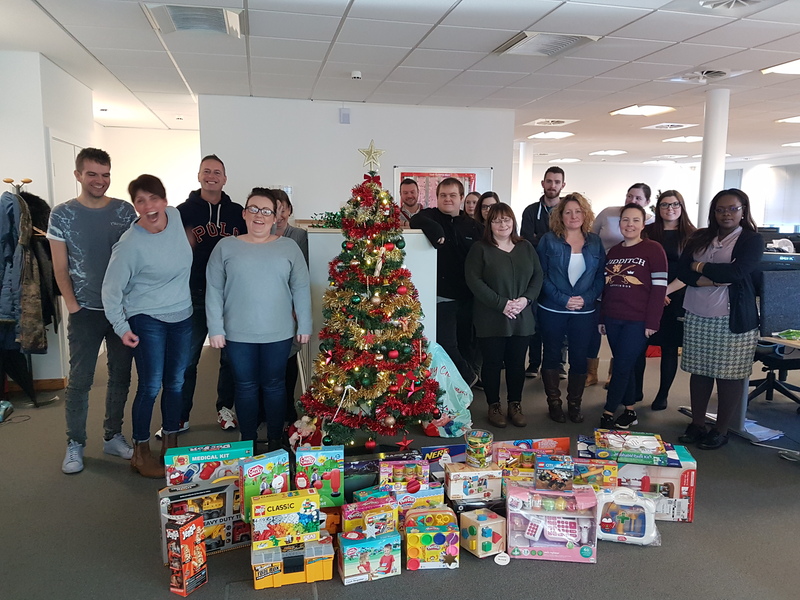 The Edinburgh team supported the charity by creating a giving tree in the office and displaying a range of tags with toy options for team members to choose from. Our Venice, Florida office has donated $500 towards the Venice Moms Helping Hands “Christmas Angels” initiative. The $500 will help the charity provide gifts for 10 children currently on their adoption list and ensure that they wake up on Christmas morning with gifts to open.